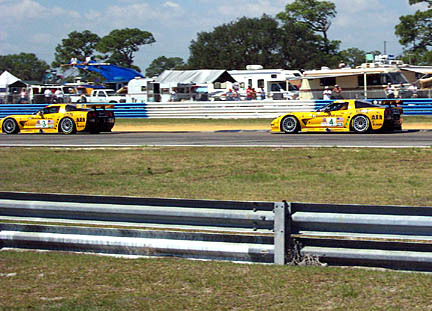 All American Battle: Two Corvette C5Rs tame the legendary Sebring Raceway. 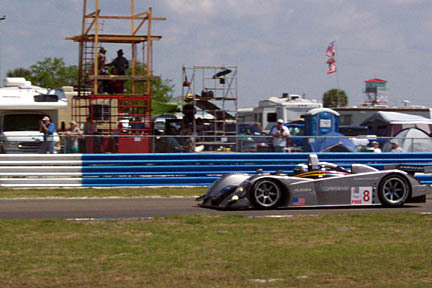 This is NOT your father's Cadillac LMP. 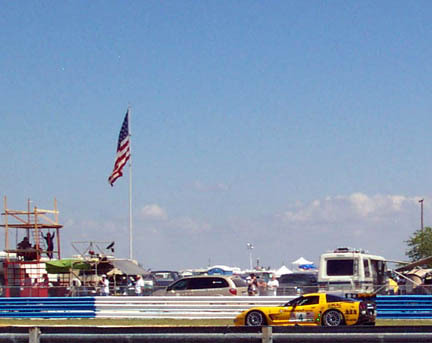 Two lasting icons of American dominance: Old Glory and a Corvette C5R. 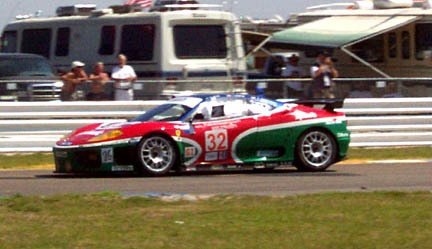 A Ferrari 360 Modena roars by. 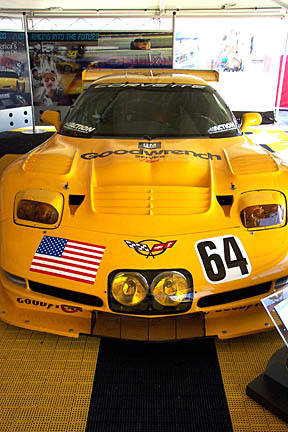 New kid on the block: Saleen's American-built racer. 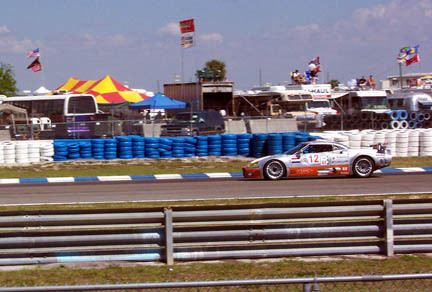 The Dutch Spyker car braves it in the 88 degree central Florida heat. 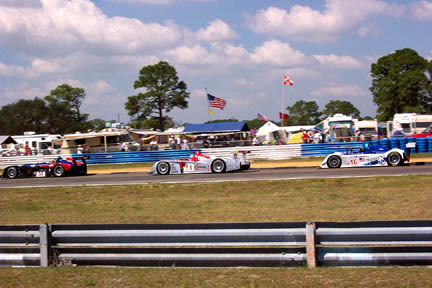 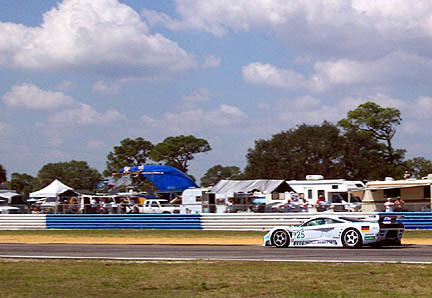 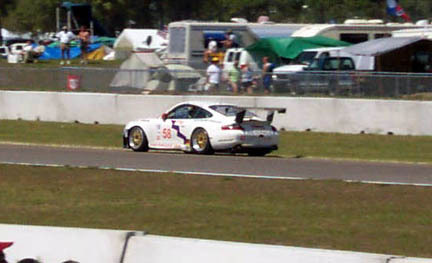 Johnny Herbert (GB), of the Audi factory team, won this event. 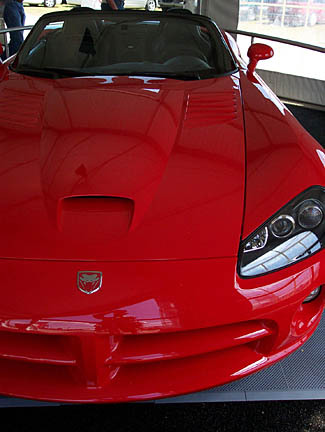 In the Dodge exhibit, a 2003 Viper stood guard. 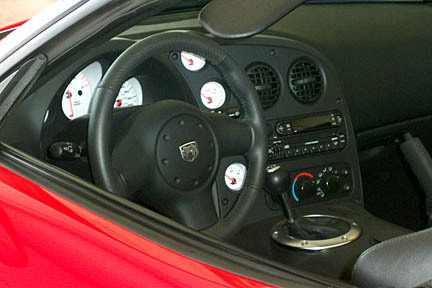 Deep inside the '03 Viper. 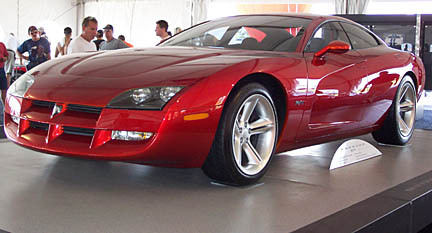 Also on hand was DaimlerChrysler's Dodge Charger concept show car. 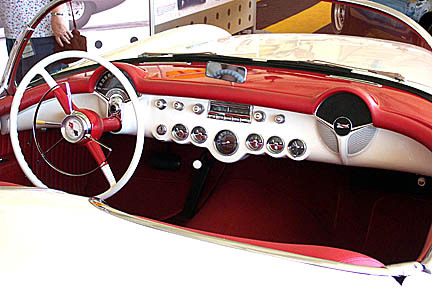 In the Corvette exhibit, a 1953 model's dashboard. 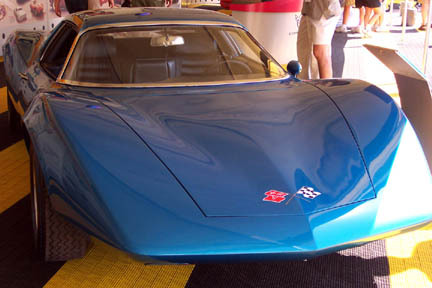 The Corvette exhibit featured the 1968 Astro II prototype Corvette. 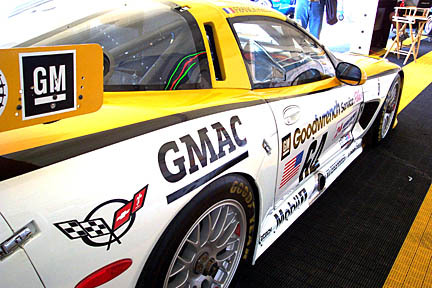 The Corvette exhibit also showcased last year's winning Corvette C5R racing machine. 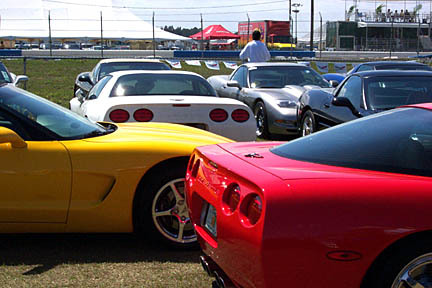 In the Corvette Corral, owners lovingly display their rocketsleds. 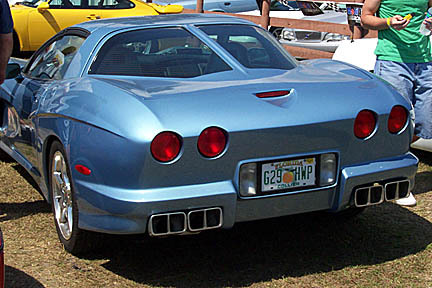 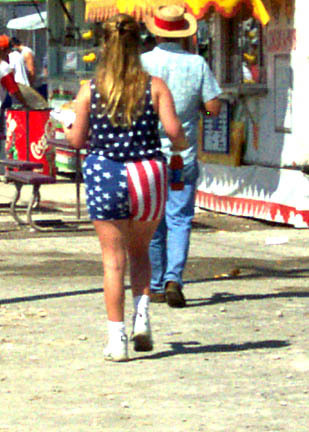 This aberration of a Corvette sullied the grounds.